BMW shares tanked more than 3.5 percent on Nov. 5 after the carmaker released third-quarter earnings that fell slightly short of expectations. Investors should pause and relax. Even though earnings before interest and taxes are down 6 percent year-on-year, the results actually reflect the company’s strengths more than its weaknesses. Profit is down for a good reason. BMW is investing heavily in new cars, innovative drive-train technologies and top-notch factories. It currently spends 13.6 percent of its revenue on research and development as well as capital expenditure. R&D spending jumped more than 25 percent in the last quarter. Had it remained at last year’s level, operating profit would have been up 11 percent over the same period of last year. The i3, an all-new electrical car developed from scratch for about 3 billion euros, is the most visible symbol of BMW’s investment splurge. Investors would have reasons to be sceptical if there was credible evidence that the money was wasted. That isn’t the case. The i3 will only hit showrooms in mid-November, but BMW says it has already received more than 8,000 orders. And buyers will have to wait up to five months for delivery. 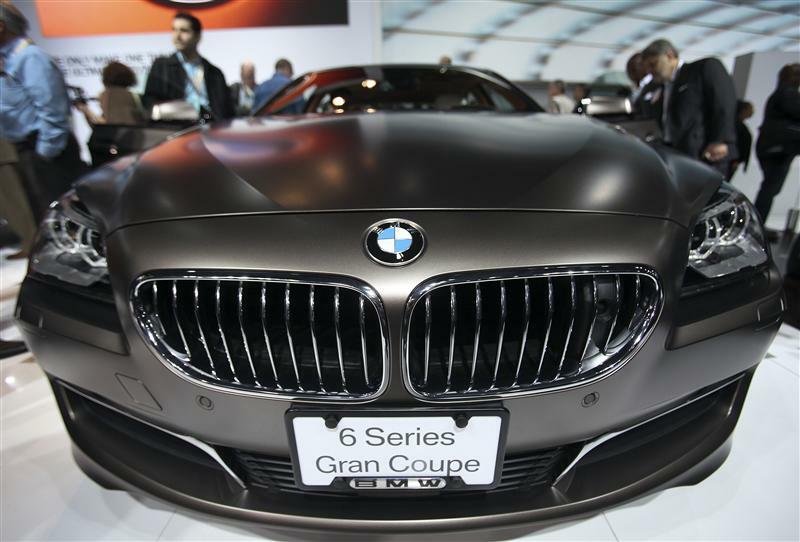 In any case, BMW is still making an operating margin of 9 percent in its automotive division. That is well within the company’s target range of 8 percent to 10 percent, and almost a quarter above resurrected Daimler’s margin. Factor in adverse foreign-exchange effects due to the euro’s appreciation and the price war that affected the stricken European car market, and the performance looks even better. BMW still trades at a price-earnings ratio of 10.2 after the share-price decline – almost a 7 percent discount on less-profitable Daimler and only a 10 percent premium on Volkswagen, which is exposed to the low-margin mass market. Moreover, thanks to its investment splurge, BMW is better positioned for the future. Investors may consider getting off the brake. BMW, the German carmaker, said on Nov. 5 that it booked 18.75 billion euros in revenue in the third quarter of 2013, down 0.4 percent year-on-year. Excluding negative foreign-exchange movements, quarterly revenue increased 4.4 percent. The group’s earnings before interest and taxes dropped by 3.7 percent to 1.93 billion euros, while automotive EBIT fell 6 percent to 1.55 billion euros. Unit sales were up 10.7 percent to 481,657 cars in the quarter. BMW confirmed its targets for the full year. It expects sales volumes to grow by a single-digit percentage rate, while group profit before tax is expected to be at the 2012 level of 7.82 billion euros.